The proclamation “Do what thou wilt shall be the whole of the Law” from Liber AL vel Legis (I:40) has especially profound implications in the sphere of morality. There is an immense amount of material on this topic throughout all of Crowley’s works. Since “There is no law beyond Do what thou wilt” (Liber AL vel Legis III:60), the only “right” action is that which fulfills that Will and the only “wrong” action is that which thwarts that Will. As Liber AL vel Legis says (I:41), “The Word of Sin is Restriction.” Crowley explains that, “[This] is a general statement or definition of Sin or Error. Anything soever that binds the will, hinders it, or diverts it, is Sin” (The Law is For All). Essentially, any form of morality that works in absolutes, saying any quality is a priori “right” or “wrong” (or “evil”) is anathema to Thelema. “To us, then, ‘evil’ is a relative term; it is ‘that which hinders one from fulfilling his true Will'” (The Law is For All). The attitudes toward oneself and others are necessary outgrowths of “Do what thou wilt.” Since “Thou hast no right but to do thy will” (Liber AL vel Legis I:42), the value of self-discipline helps one do one’s Will with one-pointedness. As Crowley explains, “What is true for every School is equally true for every individual. Success in life, on the basis of the Law of Thelema, implies severe self-discipline” (Magick Without Tears, ch.8). Further, since “Every man and every woman is a star” (Liber AL vel Legis I:3) and each star has its own unique path, each “star” is must pursue their own Will and avoid interference in the affairs of others. In short, mind your own business. “It is necessary that we stop, once for all, this ignorant meddling with other people’s business. Each individual must be left free to follow his own path” (The Law is For All). This consequently means there is total moral freedom, including sexual freedom. “Also, take your fill and will of love as ye will, when, where and with whom ye will!” (Liber AL vel Legis I:51). This is not “individualism run wild” – that is, it does not mean there is no possibility of government. The understanding in Thelema is that each star has its own particular function in the scheme of things and must perform that function with one-pointedness, and this can include one’s function in state affairs. “For every Individual in the State must be perfect in his own Function, with Contentment, respecting his own Task as necessary and holy, not envious of another’s. For so only mayst thou build up a free state, whose directing Will shall be singly directed to the Welfare of all” (Liber Aleph). One course of action that Thelema encourages is towards the attainment of Knowledge & Conversation of the Holy Guardian Angel, Union with God, the dissolution of the ego or any other metaphor used in mysticism. Crowley explains, “A man must think of himself as a LOGOS, as going, not as a fixed idea. ‘Do what thou wilt’ is thus necessarily his formula. He only becomes Himself when he attains the loss of Egoity, of the sense of separateness. He becomes All, PAN, when he becomes Zero [see the “Ontology” section of this essay]” (“The Antecedents of Thelema”). Crowley puts it plainly when he writes, “There are many ethical injunctions of a revolutionary character in the Book, but they are all particular cases of the general precept to realize one’s own absolute God-head and to act with the nobility which springs from that knowledge” (Confessions, ch.49). These attainments are understood to be available to anyone and to help one understand the world, oneself, and one’s will more completely. A common moral theme in Thelema is strength over weakness. “Beauty and strength, leaping laughter and delicious languor, force and fire, are of us” (Liber AL vel Legis II:20). “My disciples are proud and beautiful; they are strong and swift; they rule their way like mighty conquerors. The weak, the timid, the imperfect, the cowardly, the poor, the tearful — these are mine enemies, and I am come to destroy them” (“Liber Tzaddi,” lines 24-25). A different view of pity is also held in light of Thelema’s view that “Every man and every woman is a star” (Liber AL vel Legis I:3). Crowley writes, “Pity implies two very grave errors—errors which are utterly incompatible with the views of the universe above briefly indicated. The first error therein is an implicit assumption that something is wrong with the Universe… The second error is still greater since it involves the complex of the Ego. To pity another person implies that you are superior to him, and you fail to recognize his absolute right to exist as he is. You assert yourself superior to him, a concept utterly opposed to the ethics of Thelema—’Every man and every woman is a star’ and each being is a Sovereign Soul. A moment’s thought therefore will suffice to show how completely absurd any such attitude is, in reference to the underlying metaphysical facts” (“The Method of Thelema”). Also, “The Book of the Law regards pity as despicable… to pity another man is to insult him. He also is a star, ‘one, individual and eternal.’ The Book does not condemn fighting — ‘If he be a King, thou canst not hurt him'” (Confessions, ch.49). This leads to another view which is that Thelema embraces conflict. “Despise also all cowards; professional soldiers who dare not fight, but play; all fools despise! But the keen and the proud, the royal and the lofty; ye are brothers! As brothers fight ye!” (Liber AL vel Legis III:57-59). “Lo, while in The Book of the Law is much of Love, there is no word of Sentimentality. Hate itself is almost like Love! ‘As brothers fight ye!” All the manly races of the world understand this. The Love of Liber Legis is always bold, virile, even orgiastic. There is delicacy, but it is the delicacy of strength” (“Liber II: The Message of the Master Therion”). Thelema also enjoins the individual to rejoice because of life. 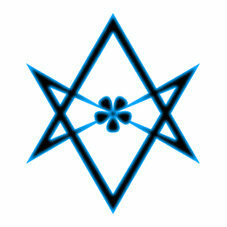 A general theme of embracing and seeing the joy in all facets of life permeates Thelema. “Remember all ye that existence is pure joy; that all the sorrows are but as shadows; they pass & are done; but there is that which remains… They shall rejoice, our chosen: who sorroweth is not of us… But ye, o my people, rise up & awake! Let the rituals be rightly performed with joy & beauty! …a feast for life and a greater feast for death! A feast every day in your hearts in the joy of my rapture! A feast every night unto Nu, and the pleasure of uttermost delight! Aye! feast! rejoice! there is no dread hereafter… Write, & find ecstasy in writing! Work, & be our bed in working! Thrill with the joy of life & death!” (Liber AL vel Legis II:9, 19, 34-35, 41-44, 66); “There is joy in the setting-out; there is joy in the journey; there is joy in the goal” (“Liber Tzaddi,” line 22). This view of the world arises out of the metaphysical ideas [see the “Cosmology” section of this essay] that Thelema entertains. In short, “[Nuit] is the infinite in whom all we live and move and have our being. [Hadit] is eternal energy, the Infinite Motion of Things, the central core of all being. The manifested Universe comes from the marriage of Nuit and Hadit; without this could no thing be. This eternal, this perpetual marriage-feast is then the nature of things themselves; and therefore everything that is, is a crystallization of divine ecstasy” (“The Law of Liberty”). In the end one must remember “There is no law beyond Do what thou wilt” (Liber AL vel Legis III:60). All of these ideas are subservient to the central law of “Do what thou wilt.” This is the beauty of the word Thelema, that it implies such a succinct and sublime answer to the problems of morality while also having complex and intricate implications.